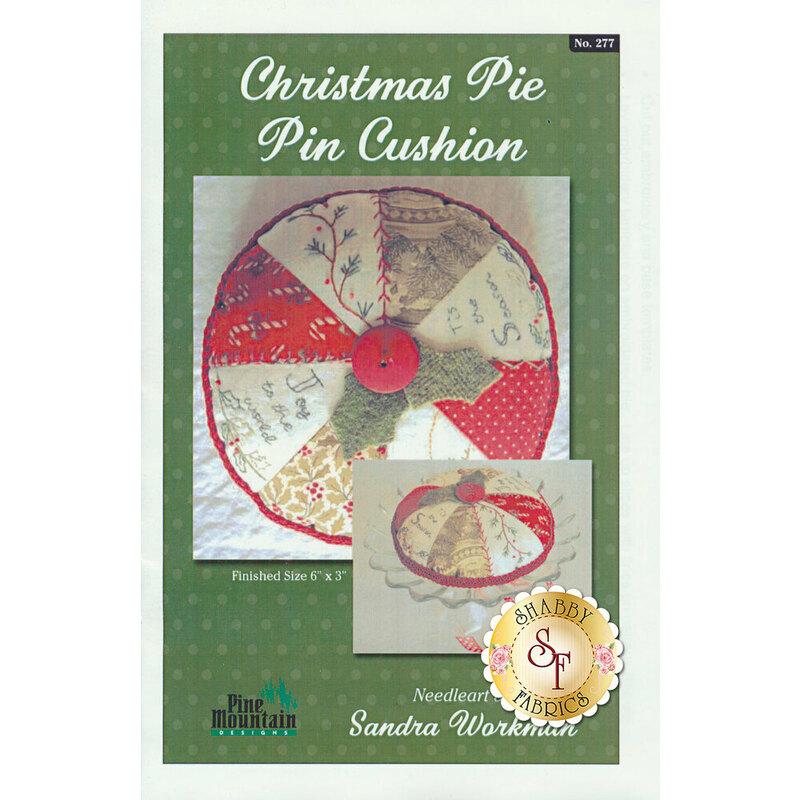 Create a unique pin cushion for your sewing room with this Christmas Pie Pin Cushion pattern! The Christmas-themed pincushion features slices of your favorite holiday fabric scraps and festive hand embroidery. 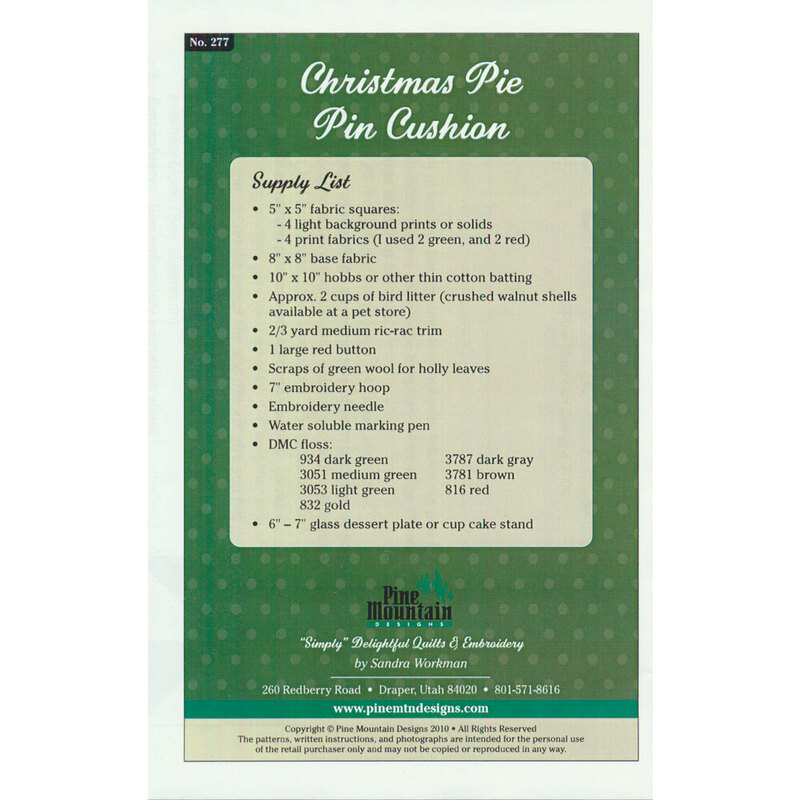 Pattern includes all instructions for the approximately 6" diameter pin cushion.